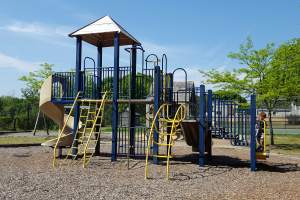 We’re lucky to live in an area with more than its fair share of wonderfully designed and maintained playgrounds, including one rated top ten in the state! 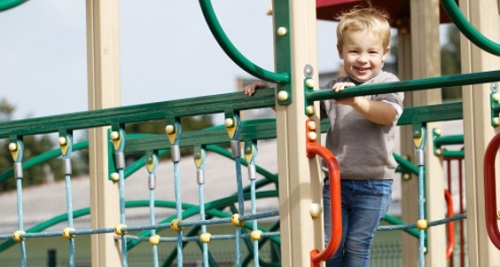 From relatively small but centrally located urban parks to expansive play structures banked by rolling hills and ballfields, there’s a playground for every age range and activity level. 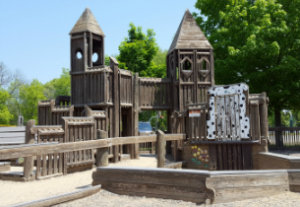 Here’s our insider’s guide to the top eight playgrounds in the Newburyport area, as rated by Macaroni Kid readers. 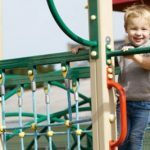 Click the links below for an information-packed review of each park, including key details on shade structures, water play opportunities, and restroom access. Action Cove’s whimsical, nautical-themed wooden play structure offers enough steps, slides, lookouts, and hideyholes to keep kids entertained for hours. 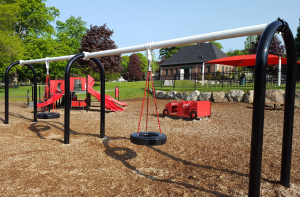 This expansive, newly renovated playground forms the heart of Amesbury’s park-recreation scene, boasting state-of-the art play equipment and a splashpad in summer. 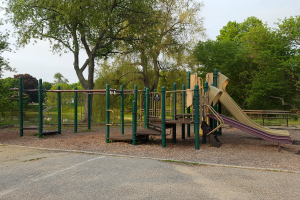 This relatively small playground overlooking the “Frog Pond” (Bartlet Mall Pond) benefits from easy access both to downtown Newburyport and to the footpath that rings the pond. Stop by Cashman Park on any given afternoon in good weather and you’ll find a social scene populated by parents, their babies and kids, and a wide variety of strollers, scooters, trikes, and bikes. 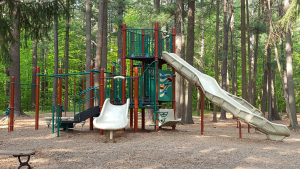 Tucked into the woods just off the Merrimac Street traffic circle in Newburyport lies a 16-acre park featuring a playground, shaded picnic area, and hiking trails. 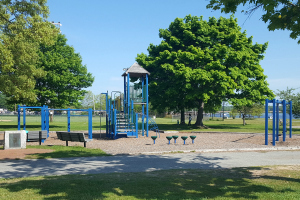 Boasting a playground with a generous sandbox, Perkins Park is the go-to recreational area for families in Newburyport’s South End. 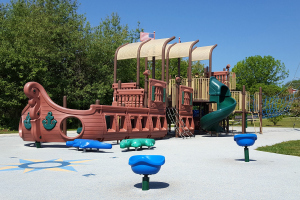 At this picturesque oceanview playground on Ipswich’s Little Neck, a modern play structure shaped like a – you guessed it – pirate ship offers lots of climbing opportunities. 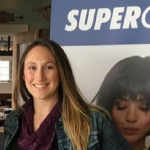 You may know Supercuts as the national chain with salon locations throughout the Merrimack Valley, but did you know that all eight local stores are independently owned and managed by a Salisbury mom and her daughter? In this interview, Honey Tree Inc dba Supercuts owner Susan Marraffa and her daughter Josselyn Wilson fill us in on their family-operated franchise and what it means to them to be a “family friendly” business. Newburyport Macaroni Kid: How did your family get into the salon business? Susan Marraffa: I was inspired to attend Beauty School by a friend of a friend. She had gorgeous red hair and a very unique, artsy look. I liked the idea of learning the various behind-the-scenes secrets to bring out, create, and enhance the beauty in everyone. After graduating beauty school at Essex Agricultural & Technical Institute, I went on to get my cosmetology license and begin a career in the beauty industry. I later returned back to college where I earned a BA degree, which helped me take on managerial roles while continuing to utilize my haircutting skills. Soon after college I joined a startup haircare company offering a new concept as a Manager/Stylist, Director of Operations & Vice President of Operations. 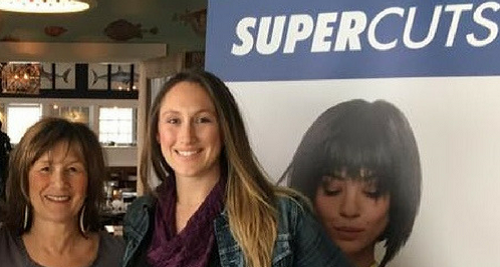 Eight years later with a wealth of corporate and franchise-operations experience I joined Supercuts as a Director of Operations in the Northeast. Two years later I was Vice President of Operations on the East Coast, with management responsibility for hundreds of corporate stores as well as supporting [individually owned] franchisees. Nine years after that I became a Supercuts franchise owner with multiple locations in the Merrimack Valley and Seacoast area. I always loved every role I played and I particularly enjoy training and developing people. I believe we have the best of all worlds in our industry as we get to listen to music all day while being creative styling hair, interact openly with fellow stylists and our valued guests, be a part of current trends in hair and fashion, and set goals to encourage and bring out the best in everyone and the business! Josselyn Wilson: As VP of Operations overseeing Supercuts’ East Coast Markets, my mom traveled a ton!!! So when the opportunity came up to switch roles and become a franchise owner she took that leap. The market was in our backyard so to speak, with locations in Newburyport and Plaistow, Methuen, Haverhill, and Salem NH, among others. I started working in the office as a young assistant. Reviewing the paperwork and doing other tasks like making copies or filing. During college I worked as a receptionist in our Plaistow location. Once I graduated with a degree in Business Management/ Marketing I started Managing our Methuen location. After a few years of that I was further promoted to oversee the office and the market. MK: What’s it like working with your mother/daughter? Benefits? Challenges? Josselyn: I love working with my mom – it’s the biggest perk and the main reason I’m here! She is such an amazing woman who has so much to offer not only with her knowledge but just by who she is. She’s a certified yoga instructor, she eats super-clean and healthy, and she’s a runner – we ran a marathon together in 2000! My mom also shops local and loves and supports the works created by local artisans. She stresses giving back to the community and trying to get involved in as much as we can. We never fight, even in life. Obviously we don’t agree on everything all of the time but we’re able to communicate maturely with each other – always have. I also think it’s because of this that has made Honey Tree feel like family to most of our employees. We invest in our people. I know every single employee who works with us and I typically will remember important facets about their lives too. All of my siblings at one point have worked either in the office or in one of the stores as a receptionist, and none of us ever got special treatment of any kind. I remember getting a verbal warning one time because my skirt was too short! The only challenge we have is that sometimes we end up talking about family/personal stuff and we don’t get all of our work done. Susan: Working with my daughter Josselyn is an amazing blessing! She is strong, bright, responsible, creative, articulate, and fully understands my intentions and approaches in managing the business. Many of our employees have observed and commented on how we oftentimes do not actually finish our sentences and yet we know exactly what the other person is communicating. We do not experience any challenges in how we work together as we are completely aligned in our thinking. Where there is a difference in opinion we discuss all the ideas and variables to come up with the best possible solution. Our only personal challenge is in practicing an awareness to not let the business responsibilities and concerns dominate our personal family time! We also get to have lots of fun together with planning and participating in our Company Celebrations, Employee Spa Days, Red Sox outings, summertime Manager Meetings at the beach, and community sponsorship events. MK: How do you define “family friendly”? Josselyn: Family friendly to us is that we can be your one-stop shop for all your family’s hair care needs! We have family appropriate magazines in the waiting room, we try to keep the music and atmosphere friendly and upbeat. We have an al a cart menu so you can pick what services you want with nothing extra. We are a walk-in business that doesn’t make appointments so you can come in whenever is convenient for you. We can do men, women and children’s haircuts. We carry the Paul Mitchell Professional Color line so we have a permanent color option, a demi-permanent option, a men’s grey blending option, and we can highlight – pull through a cap, paint tips, foils! We also offer different conditioning treatments if your hair needs to be rejuvenated or even a deep cleanse after some time in the pool! On top of all of that we offer an array of professional hair products that come with a guarantee from the manufacturer. There’s a line for everyone with a price point that fits different budgets. MK: How do you measure success? Susan: Success is when everyone is having fun, enjoying themselves, growing and thriving in a positive, supportive, productive, thoughtful environment. We strive to treat everyone fairly and with respect and to express and show our appreciation for their efforts and contributions in as many ways possible. Josselyn: I measure success by how happy and cohesively functioning my team is. I try to surround myself with good people and I can say I have that in my management team. Every one of them is a genuinely good person who is just trying to do the best they can every day in a career they love. We have two managers that have been with us for 19 years! And another three managers who we say “grew up” with us, like me, in Honey Tree. They’ve been with us 15 years starting either as a receptionist or coming to us right after beauty school. So to me, that is success. Giving people an opportunity to grow and reach their potential and fulfill their career dreams is success. Helping people see themselves in a different way so that they take on these challenges and surpass their expectations of what they originally thought capable of is success. Obviously I like to see us grow the business! Increase sales! At least beat prior year numbers! But you can’t get to that point if you don’t have a functioning team out there representing our ideas and beliefs and not only upholding our standards but also by leading by example. MK: What would you most like MK readers to know about Supercuts? Josselyn: I think it’s important to note that our stylists are exceptional and highly trained. A Supercuts stylist not only had to graduate from beauty school and pass a state exam to get their cosmetology license, they also had to go through our pre-training sessions and pass a week long Hair Stylist Academy to be able to cut on our floor. We continue to educate with post-training sessions and are always giving feedback. We train in our waxing technique before being able to perform our waxing services. And we also pretrain our stylists, who need to attend our two day Supercolor class before being able to perform any color services. Our stylists work on live models throughout their training. We also quarterly have on-site education where our Corporate Artistic Directors come in and work on something with the group and then we have individual breakout sessions where the stylist works one-on-one with the Artistic Director on a live model on any area’s they need to focus on. This is where we roll out any new techniques so we can stay on the cutting edge of the hair industry. For Port Plums co-owners Karen and Katie Shernan, going into business together was a no-brainer. 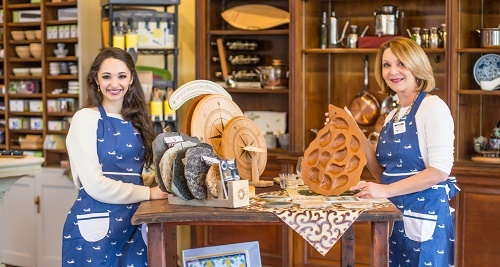 The mother-daughter duo purchased Newburyport Olive Oil Company in the Tannery Marketplace in December 2014 and have since taken over the adjoining space to open Port Plums, a high-end specialty foods and culinary equipment store. 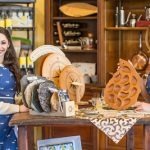 With the positive response and success of Port Plums, Karen and Katie have opened another fabulous specialty shop: Port Blue Accents, a specialty shop featuring many unique and eclectic personal accent items, located on Newburyport’s State Street – just a couple blocks away from Port Plums. We caught up with these busy ladies on a rare day off, which they spent cooking together (of course). 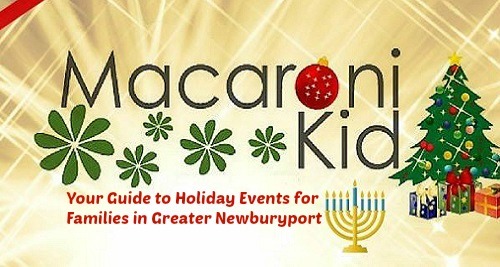 Newburyport Macaroni Kid: So which one of you first suggested that you go into business together? Karen Shernan: I honestly don’t remember! We’ve always just kind of finished each other’s sentences. It’s often hard to remember who came up with an idea first. It’s more like…before you know it,we’re working together on it. I do give Katie credit for finding the Newburyport Olive Oil Company when it was put up for sale. We are generally of one mind on things. MK: Obviously you two are pretty close! Has it always been that way? Karen: I’ve got pictures of Katie and me cooking together when she was really little. She was always one of those kids who wanted to try everything. Very open-minded about food. Katie: To be honest, as an only child it was more fun to follow my mom around and do things with her than play by myself. We’re actually cooking together right now! We just did a roast chicken with asparagus, applesauce, and mashed potatoes. We used to get together on Sundays and cook for the week. This is kind of like that – time to clean out the fridge! But we’ve been so busy lately we haven’t had a chance to cook together in about two months. MK: Was cooking together your inspiration for Port Plums? Karen: As a matter of fact it was a trip to Spain. Katie spent her junior year of college studying in Granada. I went to visit over the holiday break and we saw “Katie’s Granada”:it’s a small city that manages to be both historic and organic and cool. We were particularly inspired by the tapas there. Katie: Granada is one of the last Spanish cities where tapas are still free when you order a drink! You can spend an evening sipping wine and trying all these little dishes. It was such an amazing food experience. On the plane back one of us said – I can’t remember who! – that we should try to recreate that sense of warmth and hospitality at home. MK: Did either of you have any experience working with food? Karen: Not at all. I had a 20+ year career in corporate. I was a Senior Vice President of account management for a software startup – primarily a sales role. I enjoyed my career and was able to save money toward retirement, but I realized that I’d rather take that money and use it for myself now. 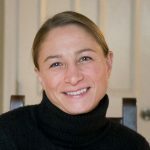 It was a deliberate decision, but also just a matter of timing and staying open to whatever opportunity the universe had to offer– and taking advantage as it came along.When Katie found Newburyport Oil Oil Company it was just time to make the transition. I firmly believe in just going for it, maybe even before you’re ready. MK: Sounds like a lot of learning on the job. Katie: We’ve made lots of little mistakes along the way – choosing the right payroll provider, point of sale system, that kind of thing. It’s definitely a lot of trial and error. Karen: I say that if you’re making mistakes you’re doing it right. I mostly figure things out by the seat of my pants! For example, I do most of the buying (finding, I should say) for the store – browsing online, going to places that I love and just seeing what appeals to me. We also go to craft shows like “New England-Made,” which exclusively features artisans and craftspeople from this area. It’s just a matter of keeping your eyes open. Katie: We also like to take trips together to another town or venue just to get some new inspiration. We call them “sharpen the saw” days – because otherwise we’d get pretty dull! MK: You seem to have very complementary styles. What do you most admire about the other and how do you think that benefits the business? Karen: Katie was born going on 40. I really appreciate the way she thinks and how she helps me think things through when I get stuck. She can talk me off the ledge if I start to feel overwhelmed. Katie: I guess I’m a little better at being reductive and narrowing many options down to the best few before making a major decision. MK: How have your lives changed since going into business together? Katie: For me it’s work/life balance. I used to commute two hours a day from my home in West Newbury to my HR-coordinator job in Lexington. Now my commute is about 10 minutes. I have so much more time to spend with my boyfriend, my friends, my dog. And what I’m doing is my passion. I may work on my business more than 40 hours a week but it’s so much more rewarding than what I was doing before. Karen:I used to be a real road warrior, spending 2-3 weeks a month traveling for work. My friends were all work-related and spread out across the U.S. Now I have so many wonderful friends locally, and I feel such a huge sense of community. My social life if no longer corporate dinners with big clients. It’s so much more meaningful to me to participate in community events and be part of something righthere at home. MK: What’s next for Port Plums? Katie: We have had success hosting a series of culinary events in partnership with other local businesses and and will continue to host many more. We have had so much positive feedback and response as folks enjoy the social atmosphere combined with opportunity to learn from experts in the food and wine industry. Our second store, Port Blue Accents opened in the Spring of 2017. We are continuing to grow awareness as the Newburyport destination for unique personal accents and expand our customer following. While Port Plums is focused on culinary, Port Blue Accents features locally and regionally made home and personal accents and is wonderful place to purchase specialty gift items. MK: You’ve got a busy year ahead of you! How will you measure success? Karen: For me it’s about the customers who come into the store and are so thrilled to be there that they come back bringing friends and family to show them, too. 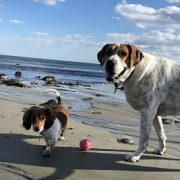 They make my day more than anything else. Katie: When the customers are as excited by the products we carry as we are – that’s what we consider success. No spring fever here – we’ve compiled a list of low-cost local indoor play places to take your young ones to get the wiggles out. Newburyport’s Joppa Flats Education Center, part of the Massachusetts Audubon Society, offers a wide range of programming for ages 3 and up, including a year-round “Imagine, Sing & Learn” series for ages 3-6 and a giant saltwater touch tank in summer. If the weather cooperates, you can cross the street to walk the path that hugs the airfield and then heads through a thicket toward historic Spencer-Peirce-Little Farm. 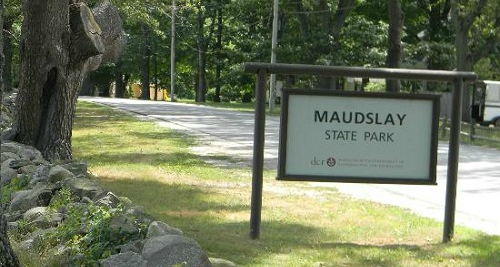 About three miles away at Rough Meadows Wildlife Sanctuary in Rowley, you can explore more Mass Audubon trails and try to spot some of the area’s birds and small animals. Ipswich Museum, one of the great indoor play places for the area, has just opened a new model-train exhibit. It also offers hosts monthly homeschooler workshops for ages 6-12 that range from age-appropriate explorations of the museum’s collections to walking tours of Ipswich. Contact educator@ipswichmuseum.org for information on upcoming workshops. All That Cheer and Tumble in Amesbury offers an open gym time most Tuesday mornings (check for schedule). The Imagination Stationz program features sensory activities, dramatic play, and an obstacles course. The visitor’s center at the Parker River National Wildlife Refuge in Newburyport offers a kid’s story hour for ages 3-5 on Monday mornings plus free movie screenings as part of its twice-monthly “Kids’ Conservation Cinema” series. Download a monthly calendar of events from PRNWR’s website. Ipswich Birth to Three Family Center hosts a popular open playtime for young children, among many other programs for kids and families. Classes are free for residents of Ipswich and Essex and with a suggested donation of $6 for non-residents. Seacoast United Admirals offers a weekday-morning PlayTime program for under-5s at its indoor recreation facility in Amesbury. Season-long memberships available. Preschool Open Gym for ages 2-5 at the Newburyport Youth Services Rec Center offers a weekly opportunity to get the wiggles out in a spacious gymnasium with balls, mats, and plenty of room to run around. Buddhaful Souls Yoga Studio in Rowley welcomes toddlers and their caregivers for a drop-in Friday mom-and-me yoga session ($10/toddler), and both the Rowley Public Library and the Salisbury Public Library host free kids’ yoga classes. We hope you find this list of suggestions helpful when in search of fun indoor play places in the Newburyport area. 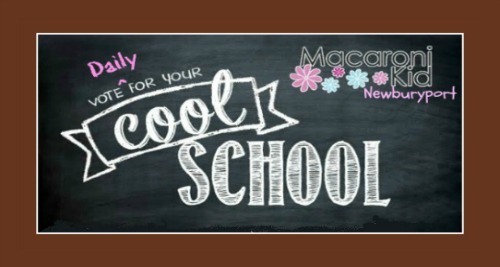 Visit the websites above for more details or – better yet – check the Macaroni Kid events calendar, where you can find ALL of these programs listed in one place! Parents are invited to register their children ages 12 and under for a chance to win a $350 prize pack provided by nine generous local sponsors – monthly drawings! 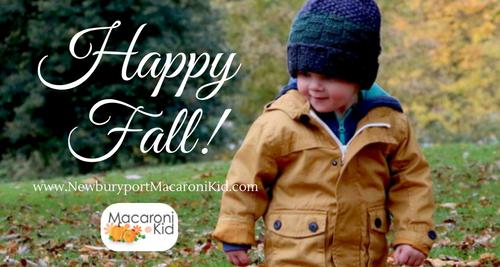 Newburyport Macaroni Kid, a free web calendar and e-newsletter of local events for families, is celebrating its fifth birthday with a present for area kids! Parents are invited to register their child(ren) by birth month for a chance to win a $350+ prize pack. Every child registered for that month will receive a birthday shoutout in the Newburyport Macaroni Kid newsletter and on social media. 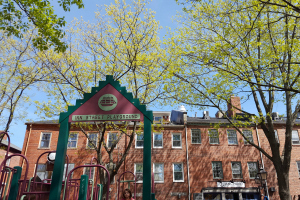 That’s a lot of GREAT prizes, especially when you consider that the preschool-to-grade 3 Bresnahan School in Newburyport boasts a whopping 120+ faculty and staff! When I approached Mark Iannuccillo of Bucciarelli’s Butcher Shop about the contest in early March, he estimated that a catered lunch for 120 would cost about $1,200 in sandwiches – and he agreed to participate on the spot. “When people shop small and shop local, it allows us to give back to our community,” he added. For Dianne’s Fine Desserts, which will be treating the winning faculty and staff to a catered dessert bar, the choice to get involved was simple: “We are so thankful to be a part of this wonderful community and love getting the opportunity to give back, especially when it’s bringing awareness to local teachers and schools,” a company representative said. Children’s Health Care jumped at the chance to furnish the $500 cash prize for the contest, in large part because supporting early education aligns perfectly with the practice’s emphasis on “full-circle health care.” CHC says it is committed to treating the whole child, including providing a nurse on staff to help parents engage with their child’s school to develop an Individual Education Plan (IEP) if necessary. “Now more than ever, communities are relying on the private sector to share resources and help drive meaningful change,” she added, noting that April is Starbucks’ Global Month of Service, in which the company completes thousands of local service projects worldwide. I caught up with Joppa Flats naturalist and Winter Games coordinator Kirsten Lindquist to find out what’s in store. “We’ve got a whole suite of games ready to go,” she says, “it really just depends on the weather.” If there’s snow on the ground, for example, activities may include winter-shelter building, animal tracking, and snow-science experiments such as looking at snowflakes under a microscope. Cold temperatures would be perfect for “Can Buddies,” in which families must figure out how to insulate a metal can to keep the water inside from freezing. “It’s like Survivor meets science experiment,” says Lindquist. “Think facilitated nature play that incorporates a lot of games and very hands-on exploration.” Lindquist notes that it’s especially important to dress appropriately for the weather, including layered clothing and sturdy waterproof boots – participants may get a little muddy! The Winter Games should help fill the sizable gap left by the popular Winter Carnival on Bartlett Pond, which will likely be cancelled this year due to recent unseasonably warm temperatures. Stop by the Joppa Flats Education Center Feb. 15-17 for a series of indoor and outdoor “flyby” (drop-in) activities geared toward ages 2-6 and 7 and up. Each day will focus on a different theme: Wildlife around the World, Take to the Skies, and Animals of the Ice. Let’s go outside and play! Hope you took advantage of the generously long winter vacation to relax and decompress after last month’s flurry of holiday activities! January’s cold temperatures have sent all but the hardiest of snow bunnies indoors for the winter, but that doesn’t mean there’s nowhere to go with the kids. Parents in the Newburyport area need look no further than their local public library to find some outstanding, creative – and FREE! – programming for all ages. 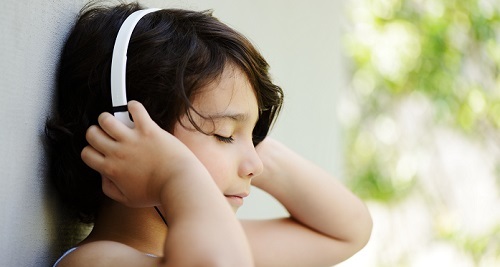 Emerging readers have plenty of fun and engaging opportunities to hone their literacy skills. The Newburyport Public Library is launching a new book club for grades 1-2 this month, and the Ipswich Public Library’s Story Explorers program for first graders is now accepting registrations for its winter session, just to name a couple. Not into reading with a group? 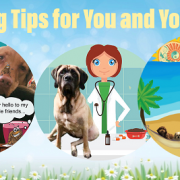 “Read to a Dog” programs at two public libraries – Amesbury, Newbury – allow emerging readers to build confidence by reading privately to a trained service dog (book your time slot in advance). 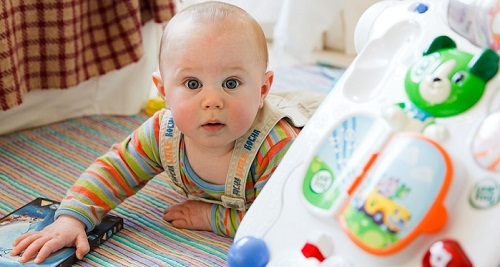 For older kids, the library isn’t just a place for books or the occasional drop-in craft. Love cooking? The Amesbury Public Library offers both a Future Foodies Club and a Batter Up Cookbook Club. The Rowley Public Library’s popular cooking club, launched last fall, has expanded to include two groups this winter (sign up now for Session I or Session II). Budding builders may enjoy Minecraft or Steampunk. 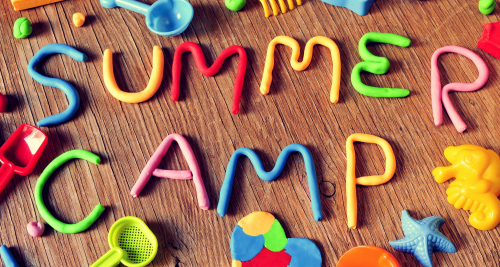 There are after-school clubs just for grades 3-5 (Rowley) and grades 7-8 (Amesbury). For tweens and teens, there are clubs for anime enthusiasts, Harry Potter fans, and gamers, just to name a few. Looking for fun, free kids’ activities this winter? “Check out” your local library! The first weeks of December offer plenty of opportunities for Santa-sighting, including Santa “tours around town” in Salisbury and Byfield, courtesy of the town fire departments (yep, that’s Santa in the fire truck). Not to be outdone, Marini Farm in Ipswich will host Santa traveling by tractor, plus free hayrides and hot chocolate for area families. On weekends, children are invited to Inn Street in Downtown Newburyport to visit Santa in his “workshop,” a charmingly decorated cottage situated in the city’s sole pedestrian-only throughway. Arrive early – Santa’s Workshop is an extremely popular destination! Chanukah celebrations get under way in early December as well, beginning on the first night (Sunday, Dec. 6) with the traditional menorah lighting and singalong in Market Square, hosted by Rabbi Avi Poupko of Congregation Ahavas Achim. Over the course of the month, holiday decorations will be popping up in windows and window boxes all over town. For inspiration and a fun day out, visit Sea Festival of Trees in Salisbury and Tree Jubilee at Marini Farm. Both annual festivals feature a dazzling array of holiday trees decorated by local businesses and organizations, each to be raffled off for charity. Midway through the month, Newburyport’s 22nd annual Holiday House Tour will throw open the doors to more than a dozen private homes handsomely decorated in the “Coastal Christmas Tidings” style. And don’t miss a trip to Partridge in a Bear Tree, Newburyport’s go-to destination for holiday décor. If you’re looking for something to put under the tree, shop local with our Holiday Gift Guide featuring boutique Newburyport-area vendors and services you just can’t find anywhere else. We’ve got a special section on classes and activities for kids, plus out-of-the-gift-box ideas for moms, dads, and entire families. Ipswich is the place for some offbeat holiday celebrations this year. Ipswich Evergreen – held outdoors on the town green – celebrates the winter solstice with make-and-take evergreen wreaths. Nearby Appleton Farms hosts the “Nisse” – a farm elf from Scandinavian folklore – as he presides over children’s holiday crafts, cookies and hot chocolate, and caroling. Santa arrives at Town Wharf for his annual “Jingle Bell Walk” as onlookers jingle their bells along the parade route before gathering at Town Hall for caroling, holiday crafts, and photos with the big man himself. Finally, no holiday season would be complete without a good old-fashioned singalong. The Firehouse Center for the Arts presents a popular annual singalong likely to sell out again this year, so get tickets early.